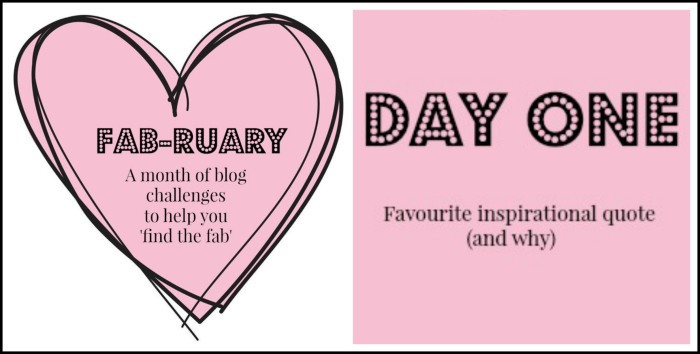 Joining Helen at I Will Bloom for Fab-ruary…A month of blog challenges to help you ‘find the fab’. Don’t know if I will make it everyday, but will jump in when I can. So let the fabulous fun begin!! I have found this one to be true, more so over time. Since my dad passed away just a couple of years ago I find that each day, month, year that goes by, there are more smiles than tears. Oh, I need to learn this quote off by heart; I am the one who cries at the end of a lovely holiday and even when a day out has been particularly exciting, I cry! But they are happy tears, so perhaps they’re just wet smiles? I love the “wet smiles”, Angel Jem!! Thanks for sharing! Happy tears = wet smiles…Love It!! 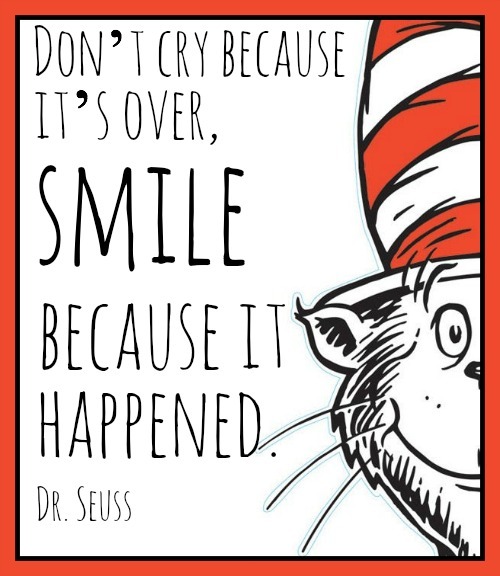 Love this quote from Dr. Seuss (and all the others, too). Thanks for sharing this one…excited to read your other “fab” posts when you can join in.